I just love Finland! And I’m coming back this January and February for concerts in this lovely country. 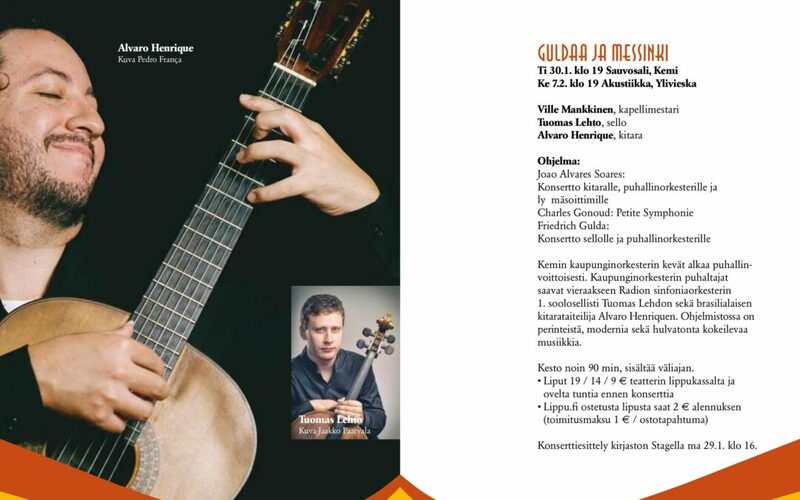 I’ll play Calimerio Soares’ concerto for guitar, woodwinds, brass and percussion with the Kemi City Orchestra under Ville Mankkinen on 30 January, 7 pm, at the Sauvosali in Kemi and on February 2, 7 pm at the Akustiikka in Ylivieska. On February 8, 7 pm I’ll give a masterclass and a solo recital at the Raahesaali, in Raahe.